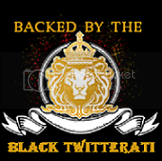 Black Twitterati: AbiolaTV: High DefinitionBlack Twitterati- Celebrating the Black Twitterati... one tweet at a time. Who's worth following, who isn't. You don’t have to look far these days to see signs of economic challenges. People are tightening their wallets, employment opportunities are fewer and industrial and community growth has slowed. But growth hasn’t ceased. The downturn in the economy has touched many different sectors within our African American business community however; there remains the need to forge ahead. This is the perfect time to reassess, re-evaluate and regroup as individuals, organizations, businesses and industry. 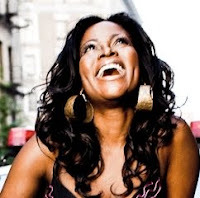 Now is time for African Americans to replicate their success story in the United States of America through various initiatives to seek their heritage in the African continent. This can only be achieved through a properly prepared overall development strategy, undertake a detailed analysis, consulting and assessment of the funding opportunities, training, technical assistance, a peer community and affiliation program. Assist African Americans business communities expand into the African continent; operate their businesses more effectively, explore and enhance opportunities. The initiative shall foster business opportunities in African and a home-coming for the African Americans.